to reserve you seat at the Wigilia Celebration! 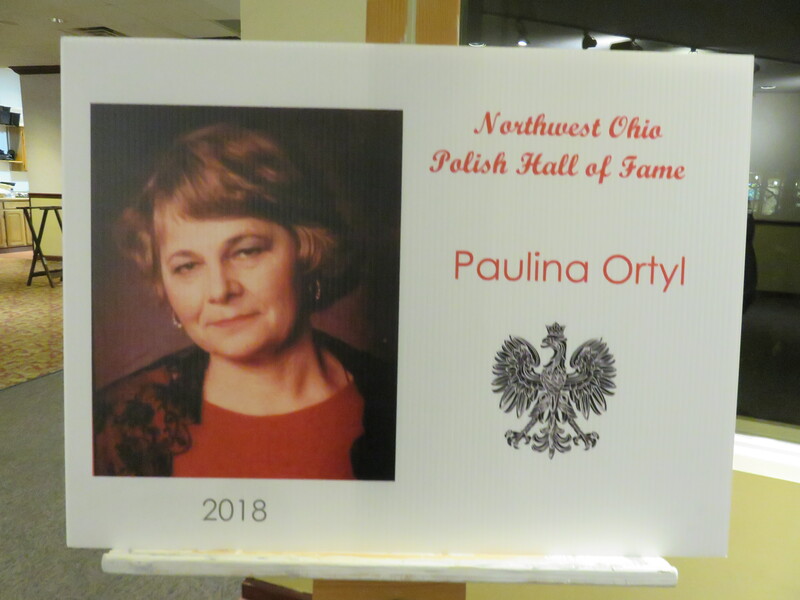 The first inductees into the Polish Hall of Fame were recognized at a dinner at Brandywine Country Club on Saturday, November 17th. 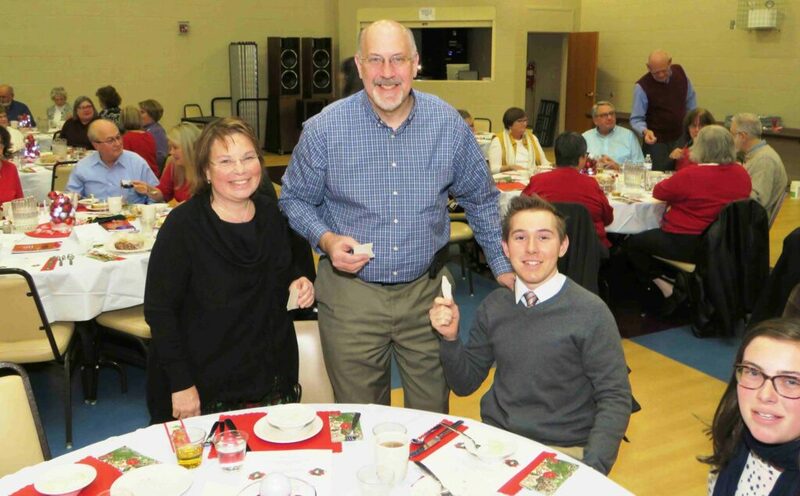 The awards reflect recipients who have excelled in the fields of faith, family, labor and culture. 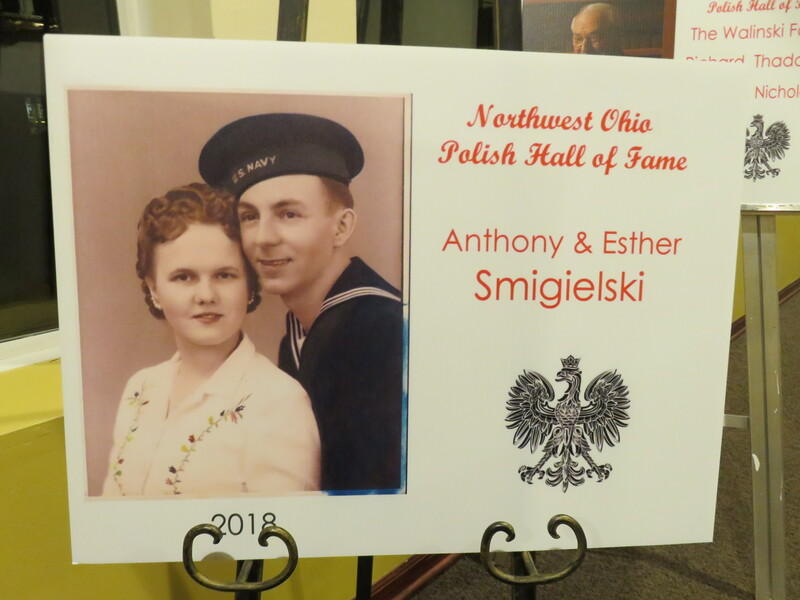 “The goal is to preserve the rich history of Polish immigrants that built a strong foundation in northwest Ohio to earn a living, practice our faith, and raise a family. 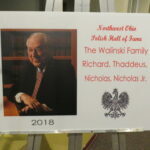 It was with great honor that we celebrated the inductees and their contribution to our Polish heritage and culture. 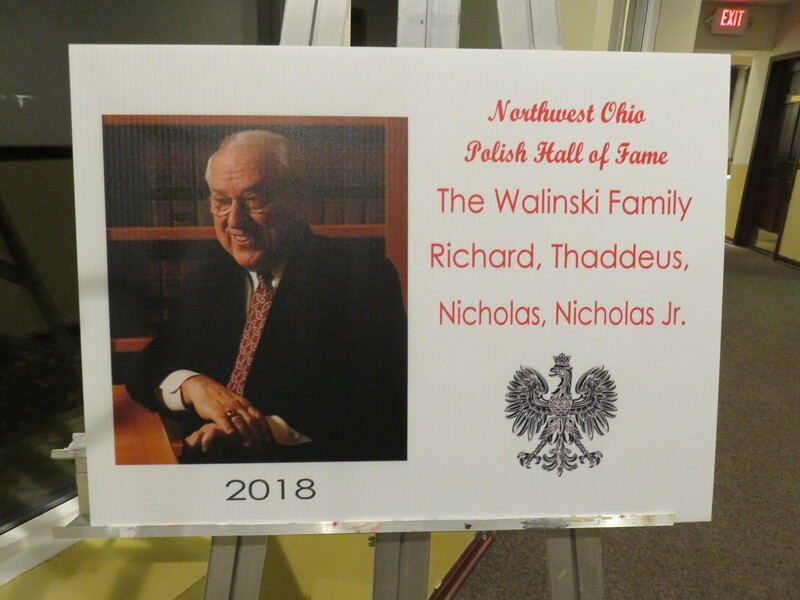 The stories and their names will be enshrined in the Northwest Ohio Polish Cultural Center when built. The proceeds from this evening will go towards making that dream a reality. 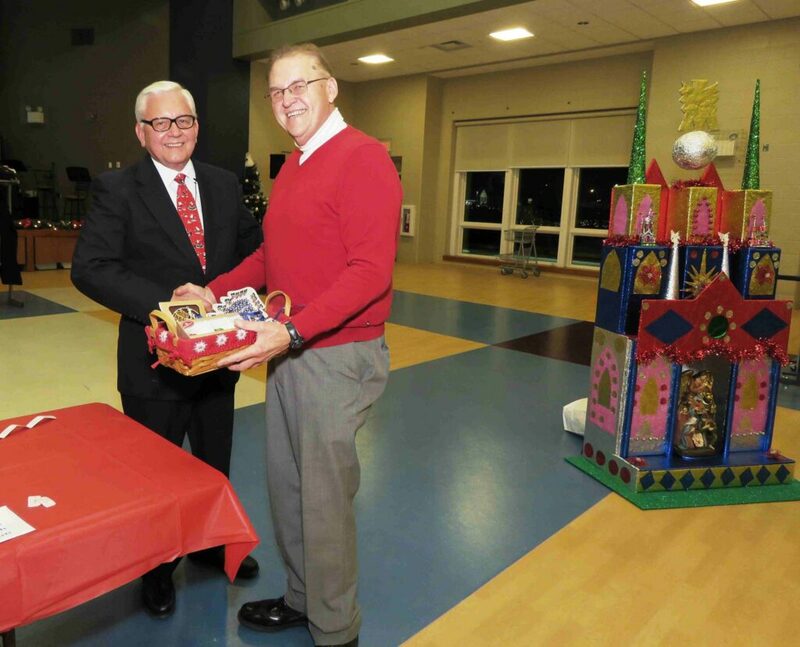 It is not too late to donate to the efforts to help build a center that will house not only relics of our past, but offer activities and programs to celebrate our culture today and tomorrow! 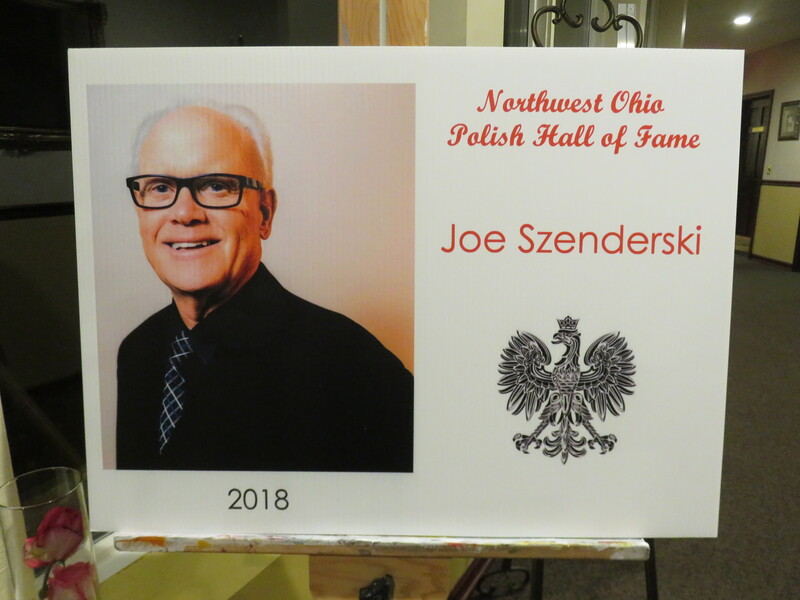 Please consider of making a donation to help preserve our history and to celebrate our Polish culture in Northwest Ohio. 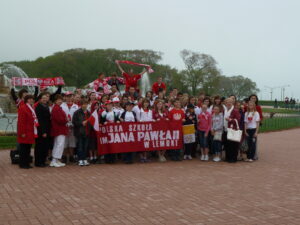 Polish Constitution Day May 3rd. Constitution Day is an official public holiday in Poland. On May 3, 1791, the Polish-Lithuanian Commonwealth’s constitution was adopted. It was the first constitution in modern Europe and second in the world, following the American one. 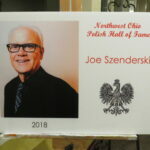 It was a significant achievement of the Polish Enlightenment thinkers. 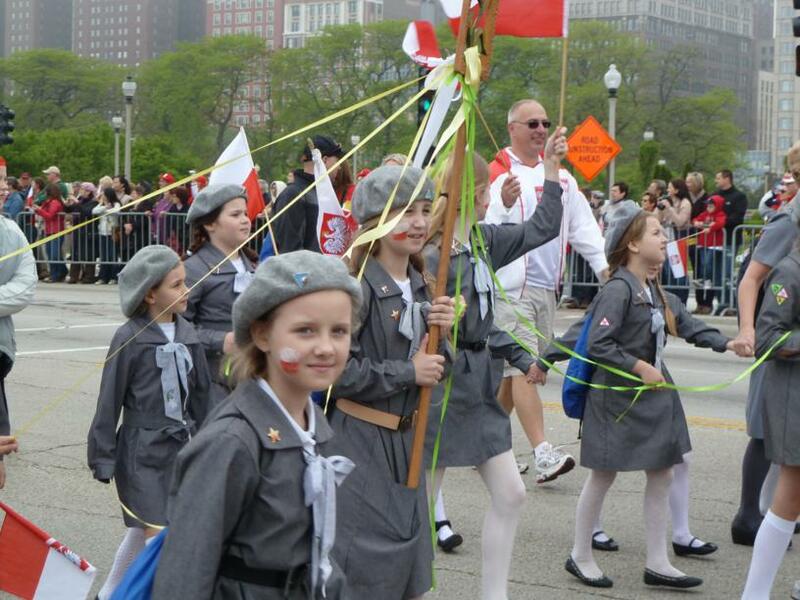 May 3 was established as a holiday only days after the constitution was passed by the Grand Sejm (Polish Parliament). 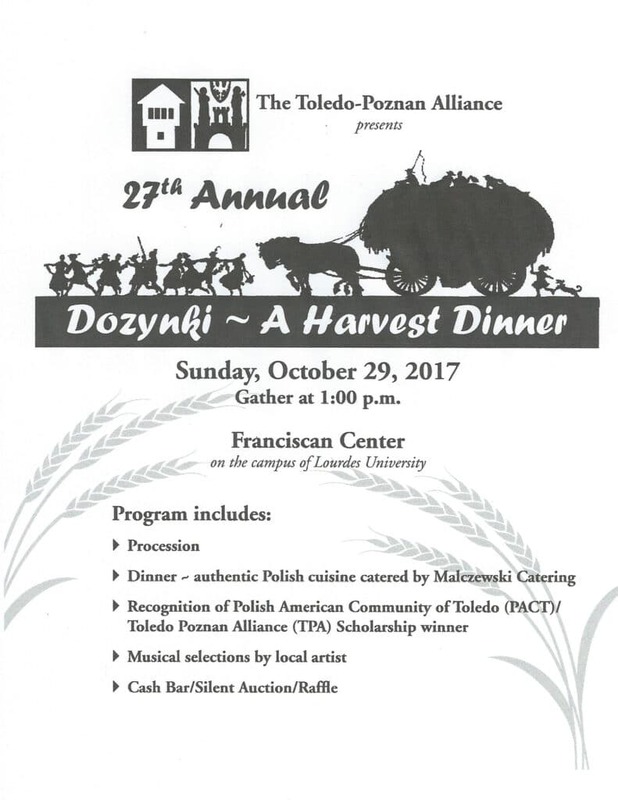 It was later suspended for many years due to the country’s partitioning, but was reinstituted after Poland regained its freedom in 1918. After World War II, in 1946, the communist authorities banned the holiday’s public celebration. The holiday was officially cancelled in 1951. 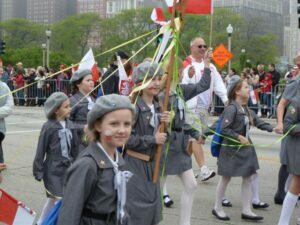 Since 1990 the May 3 holiday has again been celebrated as an official statutory holiday in Poland. 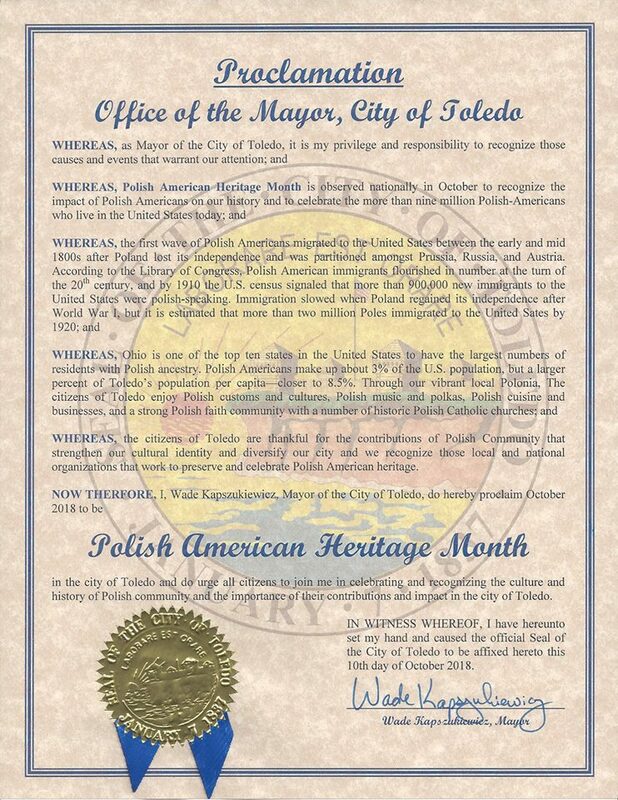 Constitution Day is part of a holiday season known as Majówka, which also includes the May 1/Labor Day holiday. 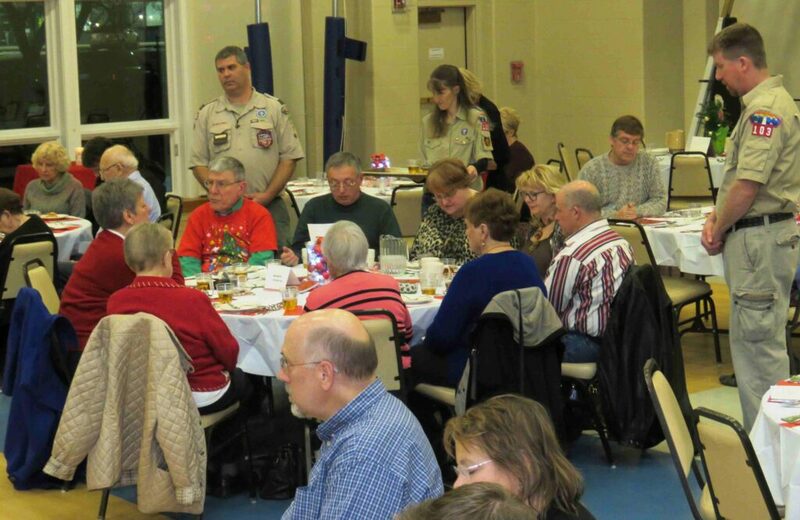 It is celebrated with military parades, spring concerts and family picnics. Many people also gather at the Tomb of the Unknown Soldier (Grób Nieznanego Żołnierza) at the Piłsudski Square in Warsaw. The monument is dedicated to unknown soldiers who gave their lives for Poland. 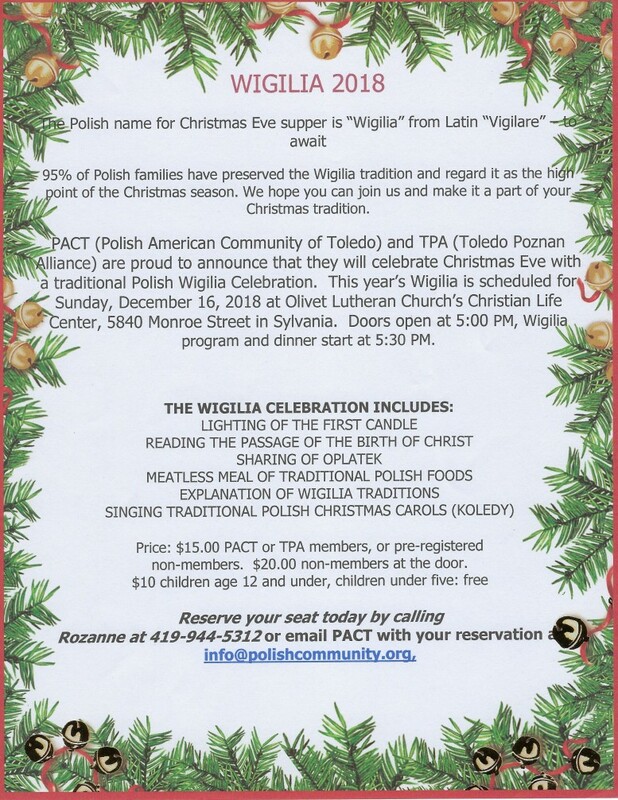 Another Christmas season means another Christmas Eve vigil (Wigilia). 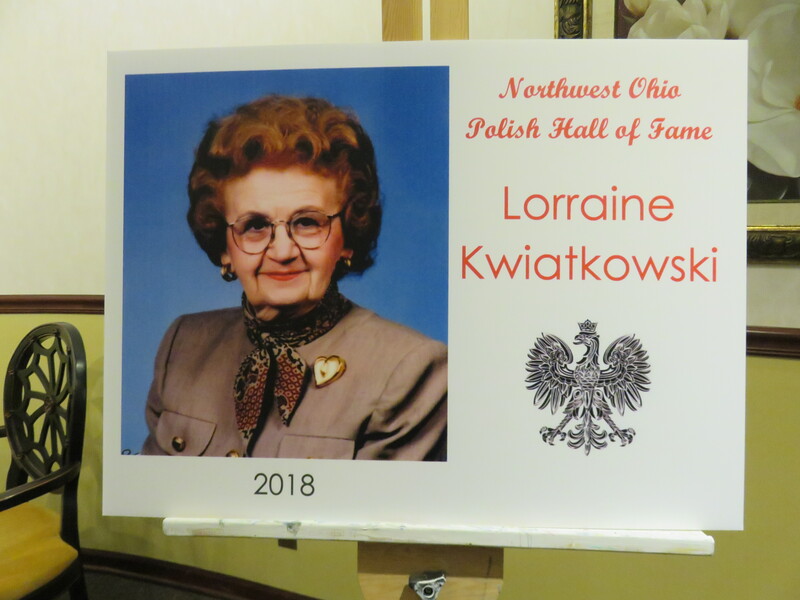 This year, PACT and TPGS (Toledo Polish Genealogy Society) once again teamed up to mark the most important day of the Christmas season for Polish people. 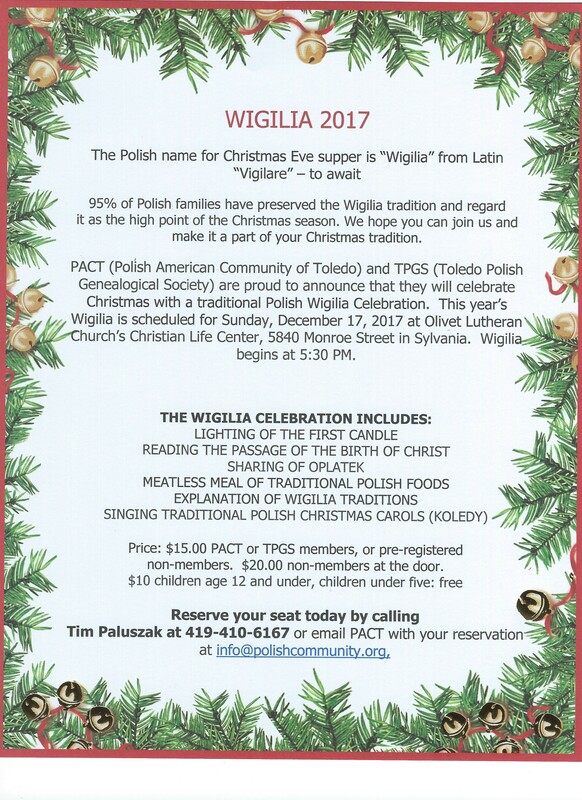 Wigilia traditions this year included lighting of the first candle, sharing of oplatek, and a meatless meal of traditional Polish dishes. 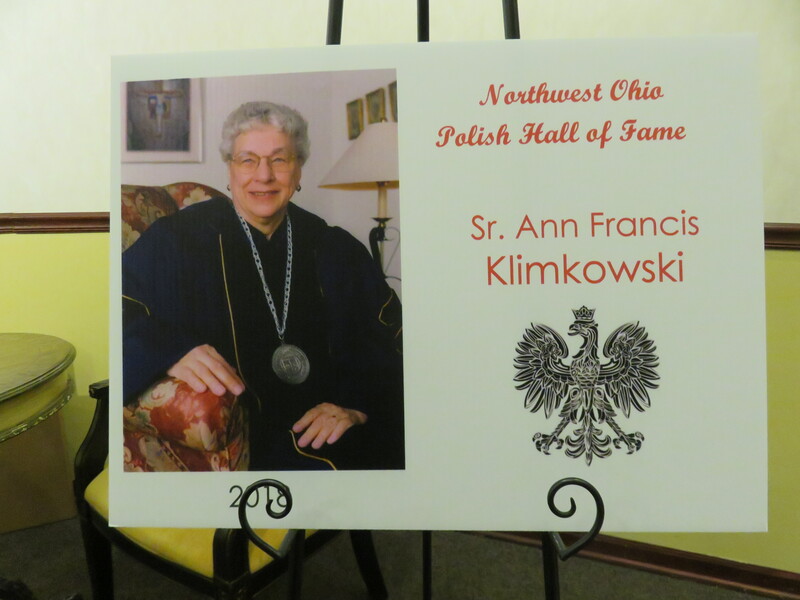 Guest speaker Lidia Ebersole gave us a look into Wigilia in Poland. 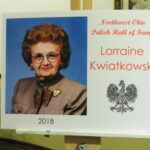 She is a native of Poland and has spent 26 years celebrating Christmas in her homeland. 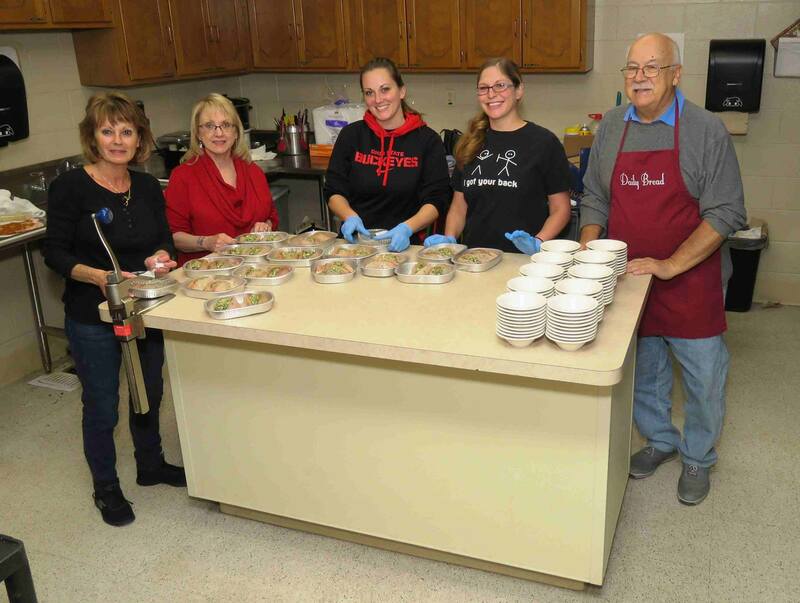 Now as a citizen of the US, she shared her in depth knowledge and experience of the traditions her family follows during this most sacred time. 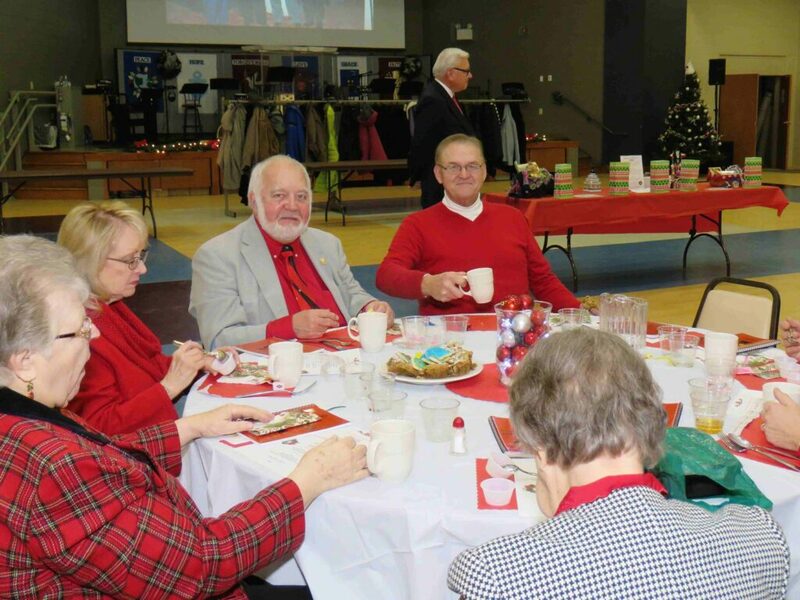 She also shared many of her personal pictures of Christmas in Poland. 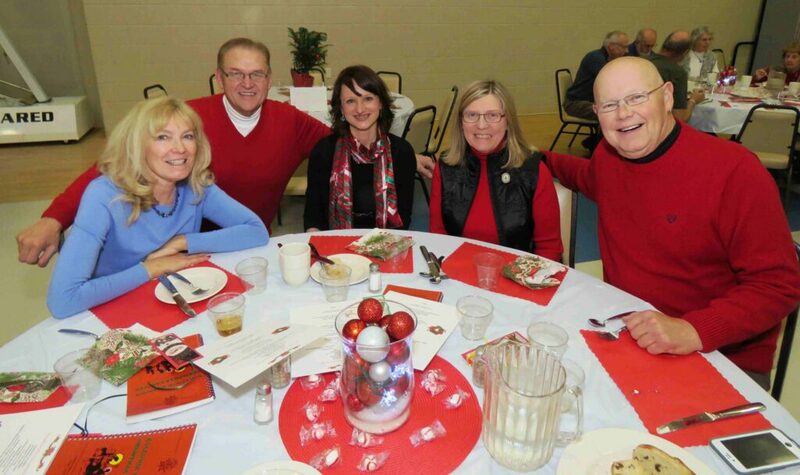 Stan Machosky and Jackie Konwinski were the emcees of the evening and Gayle Sparagowski worked tirelessly in the kitchen to deliver a delicious meal. 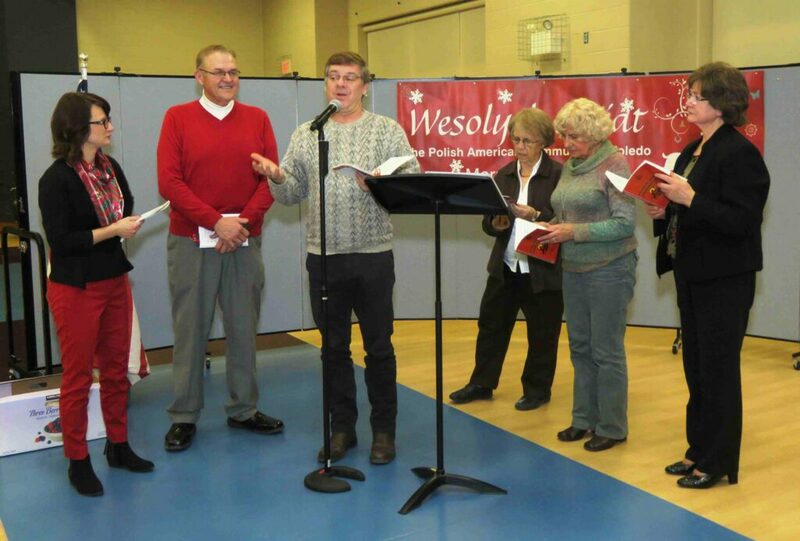 Kolendy (Christmas Carols) were lead by Rob Szczublewski, John Drozdowski and Lidia Ebersole. 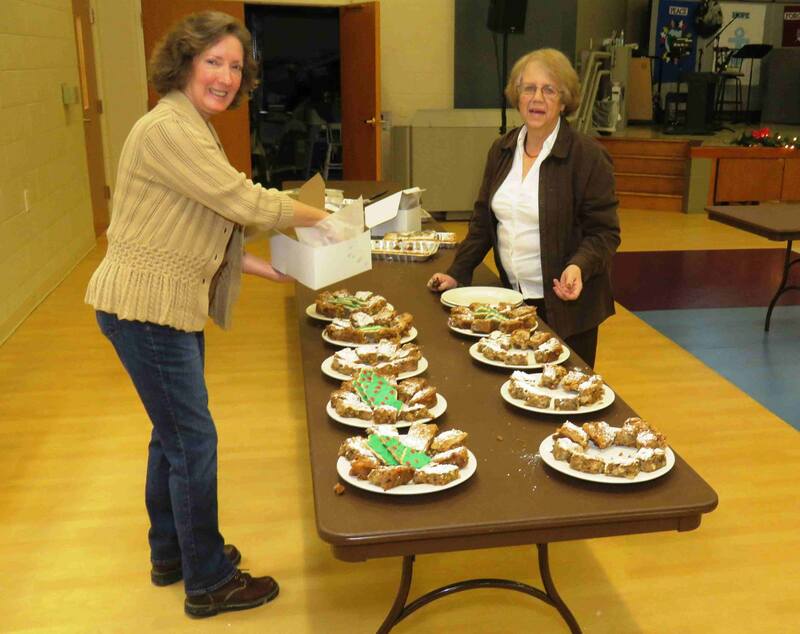 Thank you to all who helped with the preparations for this year’s Wigilia and to John Drozdowski for taking photos. 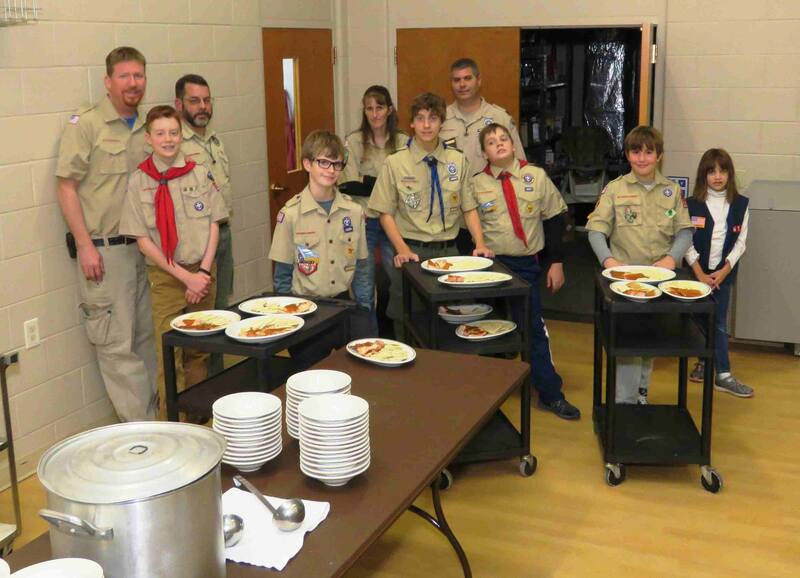 Save these dates: May 18, 19, and 20th of 2018. 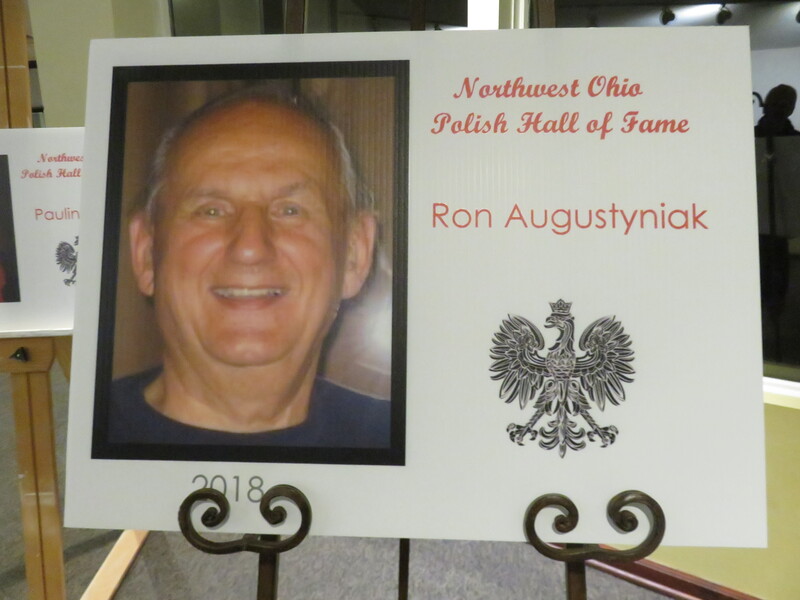 A real Polish American Festival will be held at Club 16 on King Road in Holland Ohio. It will be sponsored by PACT and hosted by Club 16. Visit our festival website often for all information about the festival. 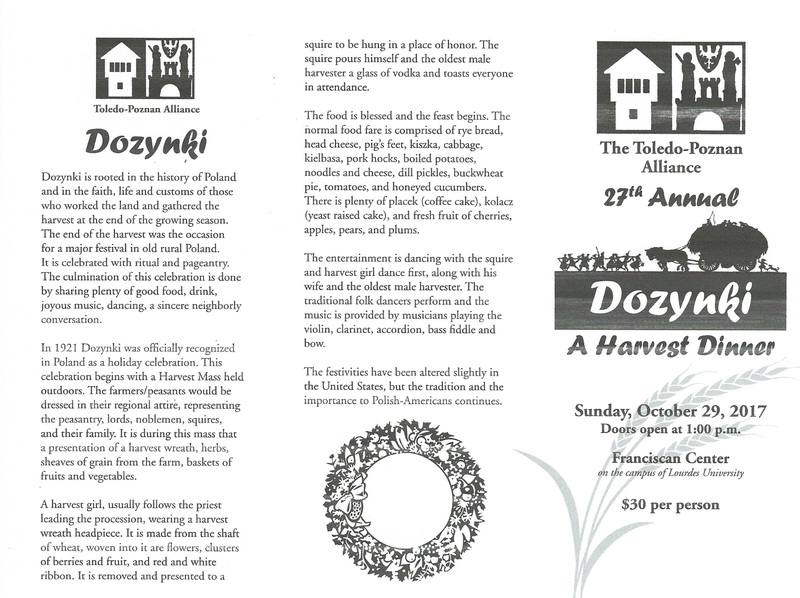 http://www.toledopolishfestival.org/ New information will continually be updated! 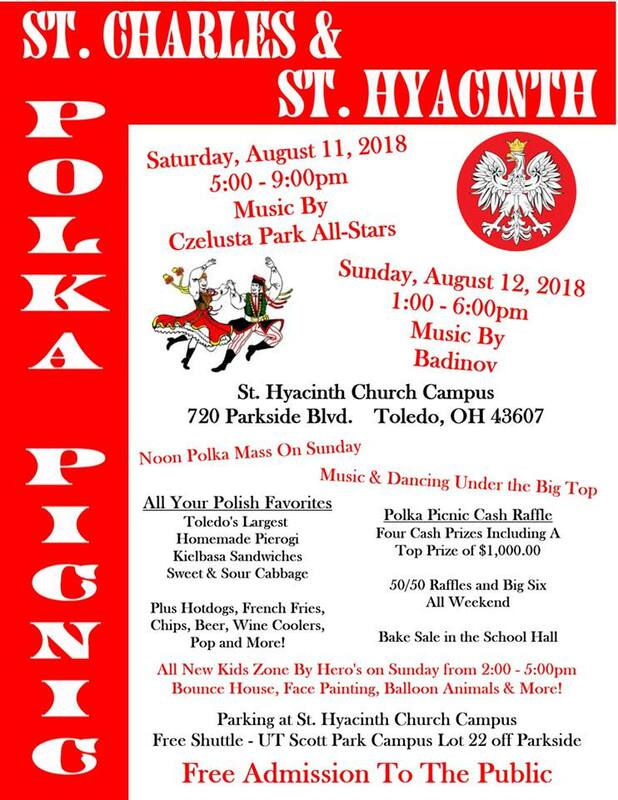 Like us on facebook: fb/Toledo Polish American Festival.